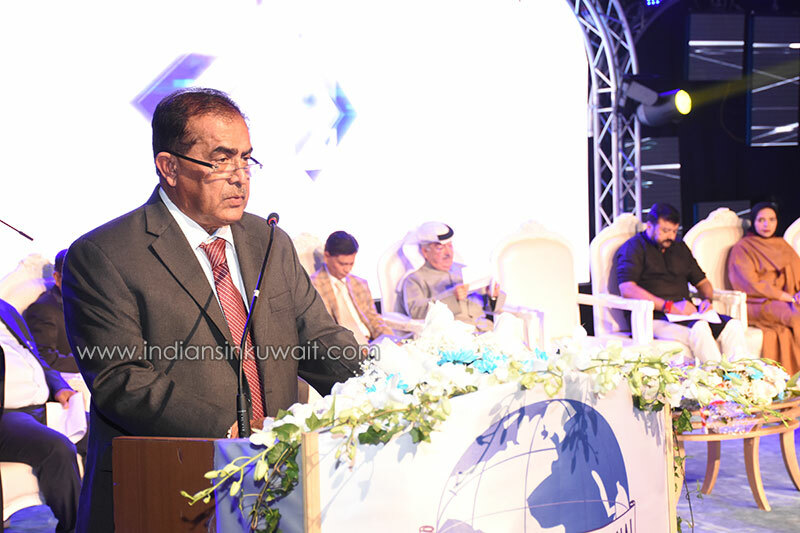 Global International , Kuwait celebrated its Silver Jubilee Anniversary on 1st Feb 2019 at the Khaldiya University Theater. The company Chairman, Mr Hussain Abdullah A Jowhar inaugurated the function by lighting the lamp. The General Manager Mr Jose R Erinjeri presided over the function and the south Indian film actor, Padmasree Jayaram graced the occasion as the Chief guest. As part of the Silver Jubilee celebrations, the company had constructed 32 houses as the first phase for the most deserved, within and outside, India and the key handing over was conducted by Padmasree Jayaram . The second phase of the Silver jubilee Housing project for the construction of 10 houses for the flood relief victims especially to the fisherman of Kerala was inaugurated by Mr Jose Erinjeri and the cheque was handed over by Mr Erinjeri R Thomas to Mr Birose, a fisherman from Kerala who was active with rescue operations during the Kerala floods . The other dignitaries on stage were The Malayalam Mission Director , Prof Suja Susan George, Indian Embassy Chief of the Mission -Raj Gopal Singh, Kuwait Embassy representative, Mr Antony R C C, Mr Antony Erinjeri, Mr Ajoy Erinjeri, Mr Thomas Erinjeri , Mr Andrew Joy and Mr Johny Paul. The function ended with the musical performances led by Mr Haricharan and other spectacular performances by renowned artists.